Credit cards always come in handy when people run out of cash or if they missed to bring the right amount. With the modern electronic world today, credit cards are a necessity to making purchases, paying bills, and simply keeping up with your finances. Almost all people who have good credit standings or those who can afford have different credit cards from different banks or other financial institutions. This is how people nowadays carry and handle their finances. 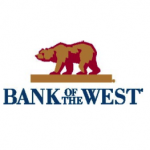 Today, one of the better credit card providers is Bank of the West. This is a strong financial and well capitalized institution that is FDIC insured. Many people have already entrusted their money with this bank for more than 135 years. They also have complete and well organized services and personnel that customers will appreciate. One of their services is their platinum rewards credit card. With the Platinum rewards credit card, card holders will be able to save money because there are no additional payments or expenses. There are also no annual fees. The introductory APR is 0% for all purchases on the first six months of getting the card. This is greatly advantageous to those who are keeping up with their finances. This card is also widely accepted in different locations and establishments ensuring convenience. On the other hand, the best thing about this platinum rewards credit card is the rewards. Every $1 spent on purchases is equivalent to one reward point. The rewards are unlimited and have no expiration date as well as annual cap just as long as the credit card account is in good standing and is open. Most of the rewards that people can choose include rebates, travel, gift cards, unique experience, and merchandise. This rewards card can help you make the most of your money while enjoying extra perks with your usual purchases. Banks with checking accounts are always trying to get new customers with their clever promotions. The usual kind is to give out $100 for new customers who open a checking account with them. True enough, Bank of the West does it again, with a $100 bonus for new checking accounts. 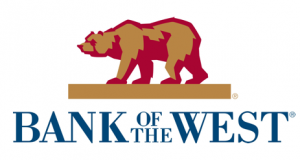 Unlike their previous promotions, Bank of the West is now requiring a direct deposit. A minimum deposit of $100 will be required, and this has to be new money, meaning the cash cannot come from an account transfer in an already existing Bank of the West checking or savings account. This promotion is available for three different types of checking account. The Free Checking Account, Choice Interest Checking Account and Choice ATM Checking Account. Below are some details of each. * Same as above except that this account allows you to earn interest on every dollar saved. There is however, a $10 monthly service charge that can be waived in four ways: $2,500 average monthly balance in this account or $5,000 average monthly balance in this account plus linked personal savings, CDs and IRAs, or five or more online bill payments per statement cycle, or monthly direct deposit of $250 or more per statement cycle. * Same conditions as Free Checking but with a service that provides free ATM withdrawals from any institution in selected areas of the country. A $10 monthly charge is also applicable but can be waived under the same conditions. The promotion is not available in all states although a long list of areas are included. 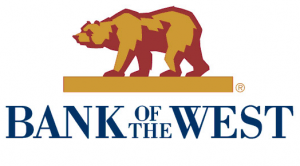 The offer is also not available to existing customers of Bank of the West. And finally, opening of checking accounts are subject to credit approval. Promotion is available only until September 16, 2011. It’s always good to know about checking account promotions. Right now, Bank of the West is giving away $100 for free if you open a checking account with them. To avail of the promotion, all you have to do is make an initial deposit of $100 and set up a recurring deposit of at least $250. You get to choose from three types of checking accounts that matches your needs. 1. Free Checking – The free checking account means no monthly service charges and no minimum balance required. With the free checking account you get to enjoy unlimited use of the Bank of the West ATMS, online banking with bills payment, free mobile banking, discounts on loan rates, unlimited check writing if you have sufficient funds, and much more. You just need to have $100 minimum opening balance, your social security number, driver’s license or state ID, and your contact details. 2. Choice Interest Checking – Although the free checking sounds really hassle free, choice interest checking will give your more earnings as you can earn interest on every dollar of your account. You get to enjoy the same services as with the free checking account but you also have interest rates that vary by balance tier. However, you’ll be charged $10 monthly but there is a way to waive it through the amount of monthly balance you have. Same requirements will be needed. Choice Interest Checking Account. You get to enjoy the same services and the same requirements will be needed. If you’re wondering where to open a checking account, why not try opening one in Bank of the West? Doing so will get you $100 free plus the usual benefits of a regular checking account. Promotion is available from February 14, 2011 to March 25, 2011. Bank of the West is offering a free iPod Touch for opening a new checking account. Check out all our Checking Account Promotions. I placed a call to Bank of the West to get information concerning the promotion and the iPod you will receive. The gentleman on the phone told me the easiest way to qualify for the promotion is sign up for the free checking account and fulfill the 20 debit card transactions. There is no minimum dollar amount per debit card purchases which means you can eat off the McDonalds dollar menu 20 times and that would satisfy that requirement. All requirements need to be met before October 31st and the iPods will ship after that. Be sure your 20 debit transactions are completed before this day. To open a free checking account you will need a $100 deposit. This promotion is not available in all states. If you live in CA, CO, UT, WY, and NV you can visit a local branch to open a checking account and qualify for this promotion. Those living in AZ, CA, CO, ID, IA, KS, MN, MO, NE, NV, NM, ND, OK, OR, SD, UT, WA, WI and WY can apply online to receive this promotion. Bank of the West has 3 options for Checking accounts. Ranging from Free to Bonus accounts there may be something for you. The offer does not apply to second or multiple checking accounts. Be sure to read the fine print. You can go here if you would like to get more information. Please be sure to let us know if you were able to take advantage of this checking account promotion. And remember to share this with your friends via Facebook or Twitter.